Different truths – For the fainthearted . . .
At lunchtime we sat at a kitchen table. Having held the first Armistice Day service in the parish in at least two generations, there were stories told of those who had returned, and those who had not. Turning to the Commonwealth War Graves Commission website, we found the details of Sergeant Jock Thompson, who was the member of the crew of a Halifax bomber of 76 Squadron in Bomber Command. The squadron was commanded at the time of Jock Thompson’s death by Wing Commander Leonard Cheshire. Returning from a mission, Jock Thompson’s aircraft disappeared over the North Sea. 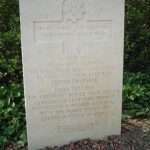 Jock Thompson has no grave; his name is engraved at the Runnymede Memorial amongst the more than twenty thousand RAF service people who have no known burial place. Reading the memorial for Jock Thompson, his sister expressed surprise. ‘He was not 23 – had he lived another month, he would have been 20’. Son of Gerald and Irene Thompson, of Borris-in-Ossary, Co. Leix, Republic of Ireland. ‘A few years – he was in the reserve’. The question could not be answered without access to service records. 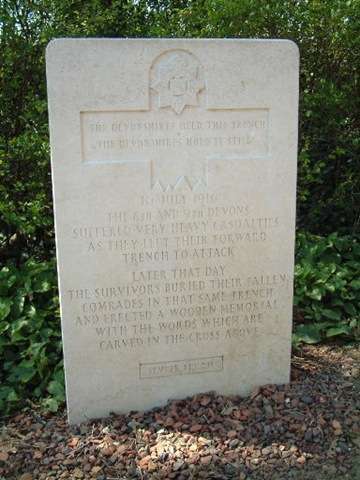 The burial took place not on the evening of the awful first day of the Somme, but three days later, after the bodies had been retrieved from where the men had fallen. Does it matter that the details are absolutely correct? Are there other truths that are more important? Can you change history in retrospect?